Shop Nice! 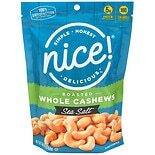 Roasted Whole Cashews with Sea Salt (16 oz. )16 oz.